Maintaining tight tolerances is a top priority for many complex injection molded parts and components. Understanding the nuances of resins and how they impact tight tolerances and overall product performance can be complicated. It's essential that an injection molder's engineers be looped into the project early — ideally in the design phase — to weigh in on resin selection. Otherwise, certain material characteristics that could affect tight tolerances and, ultimately, influence outcomes may be inadvertently overlooked. 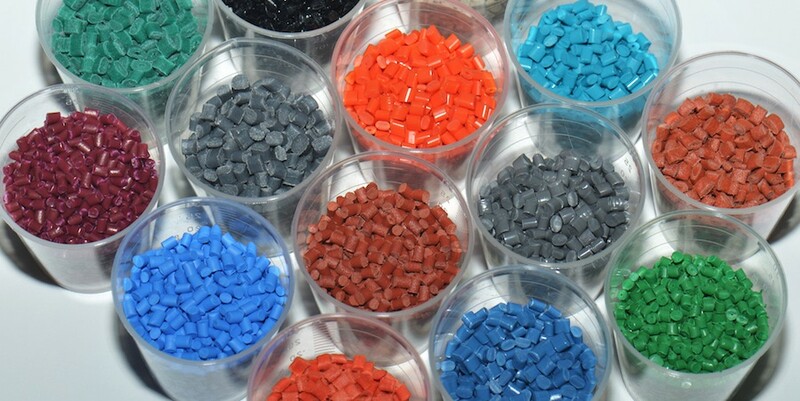 Within the injection molding process, different resins can produce different tolerances for the same part. As a result, a tradeoff must sometimes be made between tolerance expectations and the physical properties of the resin. For example, a glass- or mineral-filled material can hold tighter tolerances than an unfilled material. Different materials also have different shrink rates — the higher the shrink rate, the less repeatable the tolerance. Compared to other resins, crystalline materials present some unique challenges in holding tight tolerances because of their higher shrink rates and the potential for continued crystal growth. Polyethylene and acetal are good examples. These materials can continue to grow more crystalline, even at freezing temperatures. As a result, the overall structure gets tighter and more compact, shrinking the size of the part which can actually continue to fluctuate over time. Therefore, to create tight-tolerance parts, the injection molding environment must be designed to ensure that the highest state of crystallinity is achieved quickly. In general, high mold temperatures provide the best environment for crystal growth. Crystal growth can also be maximized by adding a nucleating agent to the melt, which provides sites throughout the melt that stimulate crystal growth. Holding tight tolerances can be a challenge with most resins because they have high thermal expansion rates (fillers help reduce this). Even though plastic parts can be held to tight tolerances in climate-controlled environments, this doesn’t mean they will maintain these dimensions as the temperature changes. Thermal expansion should be a major consideration when plastic parts are combined with other material types such as metals, or when the end use occurs in an environment that experiences extreme temperature swings. Moisture absorption also affects tolerance levels. Hygroscopic materials — especially nylons — change in size as they absorb water and/or as humidity levels fluctuate, and mechanical properties can change as well. Kaysun was presented with this type of challenge as it related to the use of molded, unfilled nylon for the throttle linkage in boat engines. In these hot and damp conditions, the nylon linkage got longer as it absorbed more heat and moisture, throwing off carburetor timing. The solution was to create the linkage from aluminum rods with overmolded polybutylene terephthalate (PBT) snap-fit ends. Not only was the aluminum lighter in weight, it had a lower thermal expansion that also matched the thermal expansion of the engine block. Partnering with an injection molder can help you better address resin selection for tight tolerances, but the true value-add is having their engineering team work with yours throughout the project — from design through manufacture — to ensure materials, performance expectations, the end-user environment, and production processes all point to and support tight tolerance requirements. Learn more in Tight Tolerance is Critical for Top Quality and Superior Performance. Click the button below to access your copy now.